Elegant silk hangings add a touch of Thai heritage to the sleek modern design of our Privilege King Rooms. Start the day with a complimentary breakfast in the Privilege Club lounge. 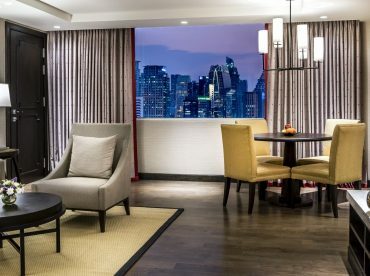 In the afternoon, ask the concierge to book a massage at nearby Sofitel Bangkok Sukhumvit, our sister hotel, and then freshen up in your spacious bathroom before dinner at El Gaucho restaurant or Alex Bistro. At the end of the day, enjoy the free minibar service before sinking into the crisp linens of your luxurious king bed.